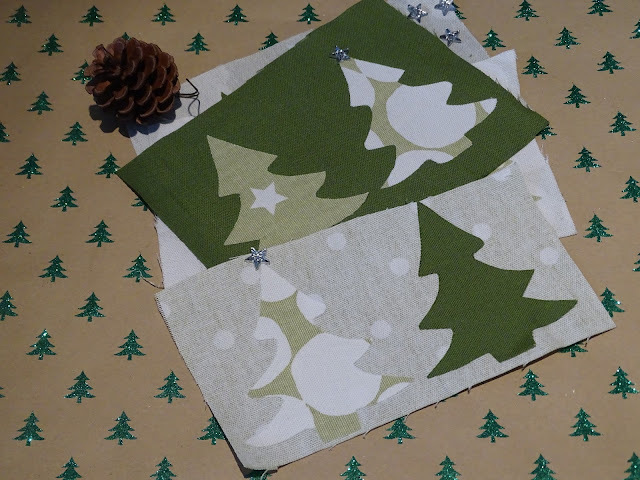 I was thrilled to receive some beautiful fabric from Prestigious Textiles to create some Christmas Tree Bunting as part of Prestigious Textiles Advent Calendar 2015. The Christmas Tree Bunting that I decided to create requires no machine sewing (a little hand sewing optional) and can easily be done within a hour. 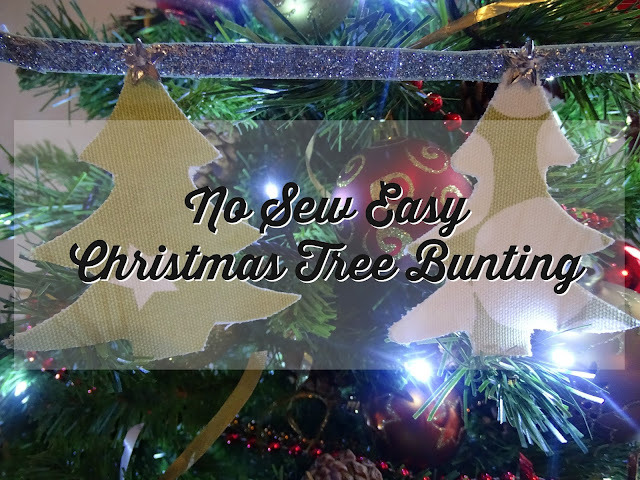 I chose to make the bunting double-sided so the gorgeous fabric would be shown on both sides if hung in a window or staircase railing. 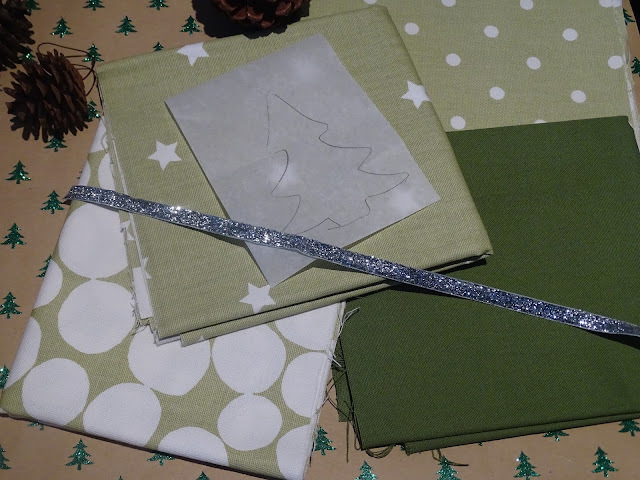 The fabric that I was sent was: Full Stop Eucalyptus (Splash Collection); Fizzle Eucalyptus (Splash Collection); Twinkle Eucalyptus (Splash Collection) and Panama Willow (Panama Collection). All 100% Cotton. 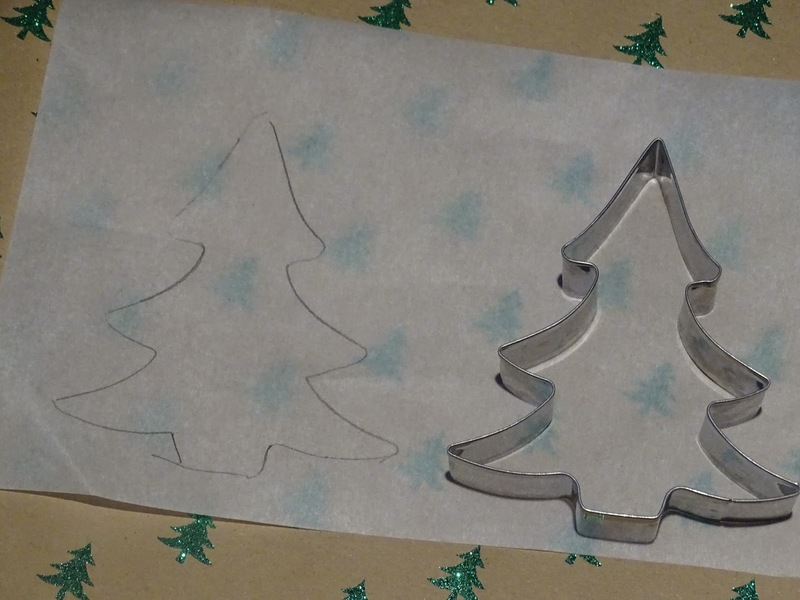 I used a metal cookie cutter (10 cm) as my template but you can print off a tree outline in your required size from the internet. You can also create a tree template by folding a piece a paper in half and drawing one side of tree from the folded edge. 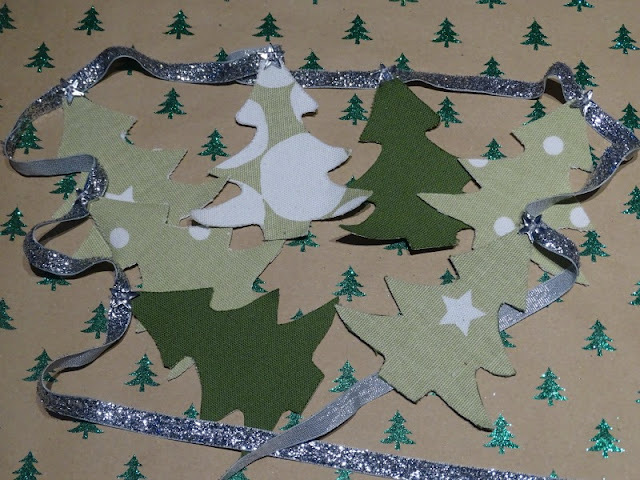 Cut along line to create a symmetrical tree. 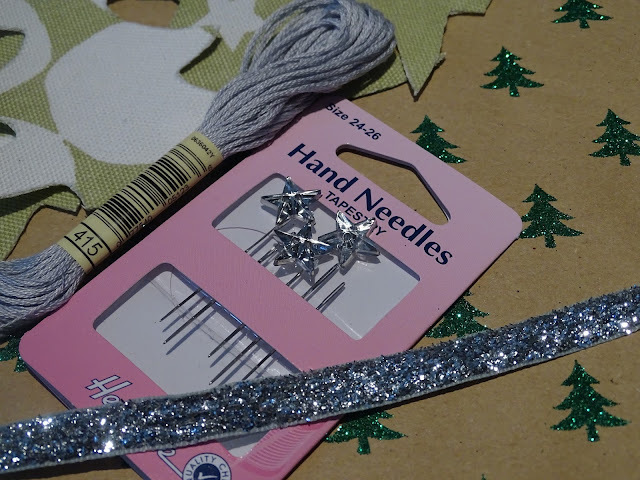 Bondaweb will adhesive two pieces of fabric together and prevent fraying of fabric edges without sewing required. 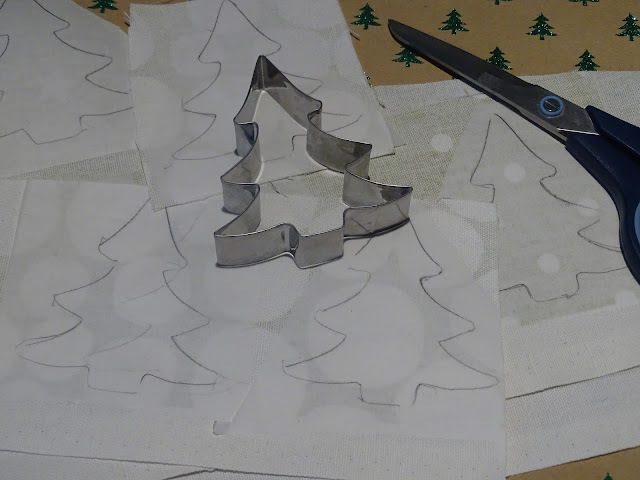 Cut tree shapes out roughly. The paper side should be facing you as you iron. 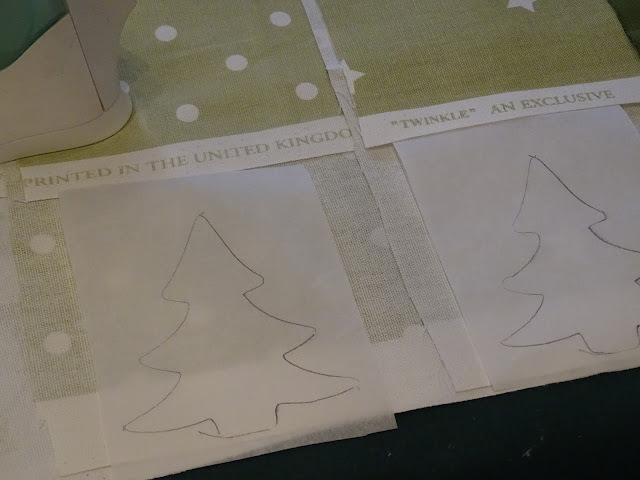 Line up the tree on fabric. Following the Bondaweb directions, I used a dry iron on medium heat for 5 seconds. 4. Cut Out the Tree Shape Accurately and Peel Off the Backing Paper. I attached the trees by hand sewing a silver star button to the tip of tree and then attaching to a silvery glitter ribbon. You could attach by using fabric glue also. 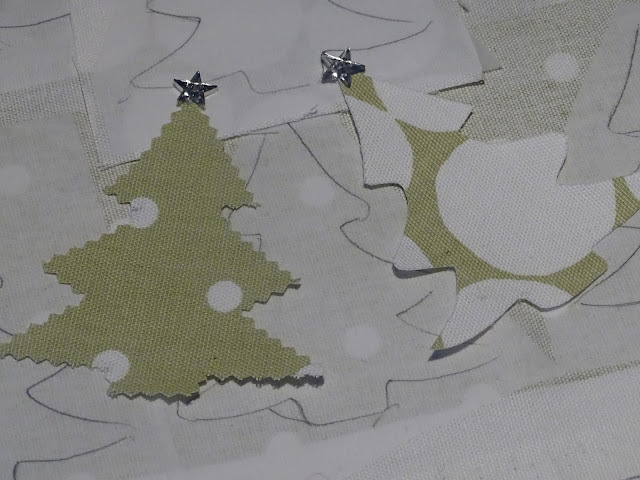 If you want to use your pinking shears to create a zig-zag edge, I would just suggest leaving a slight larger straight edge around the tree shape until after both fabrics are bonded together and then use the pinking shears to cut edge to pattern. This tutorial can be made with different fabrics, but Prestigious 100% cotton prints are perfect for this, as you can get a crisp finish. They have a varied range of printed fabrics to choose from if you prefer an alternative pattern. Thank you to Prestigious Textiles for the beautiful high-quality fabric. 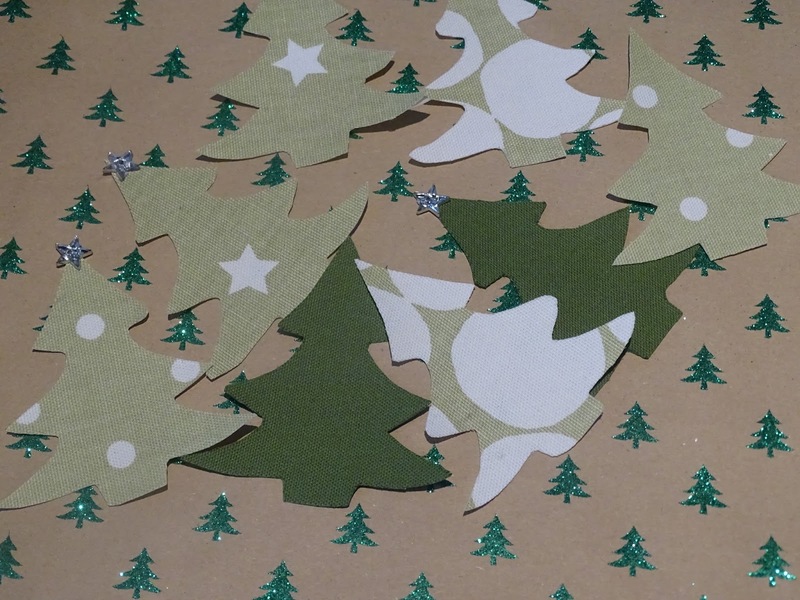 We hope everyone a Happy Christmas!